Future Reading is an occasional feature that highlights new or upcoming publications on sport, and particularly hockey, that relate to Hockey in Society’s content and/or that may be of interest to its readers. Well this is exciting, at least if you’re a nerd like me: a new book on sport and violence by sociologist Kevin Young. Dr. Young is a professor working in the University of Calgary’s Department of Sociology, and he has written extensively on issues relating to criminology, violence, and sport. 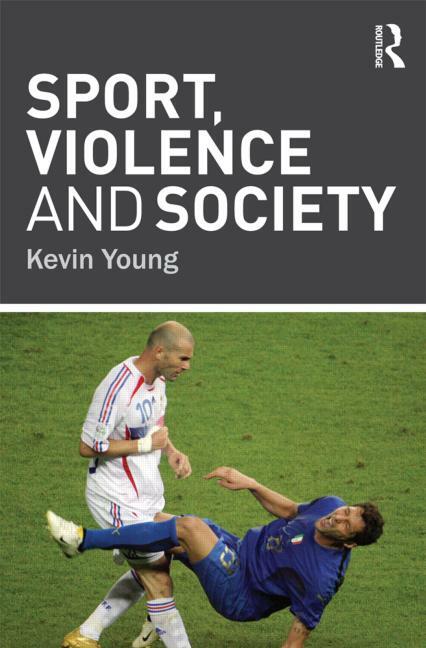 In this landmark study of violence in and around contemporary sport, Kevin Young offers the first comprehensive sociological analysis of an issue of central importance within sport studies. The book explores organized and spontaneous violence, both on the field and off, and calls for a much broader definition of ‘sports-related violence’, to include issues as diverse as criminal behaviour by players, abuse within sport and exploitatory labor practices. Offering a sophisticated new theoretical framework for understanding violence in a sporting context, and including a wide range of case-studies and empirical data – from professional soccer in Europe to ice hockey in North America – the book establishes a benchmark for the study of violence within sport and wider society. Through close examination of often contradictory trends, from anti-violence initiatives in professional sports leagues to the role of the media in encouraging hyper-aggression, the book throws new light on our understanding of the socially-embedded character of sport and its fundamental ties to history, culture, politics, social class, gender and the law. The Table of Contents offers some intriguing chapter titles, including “A History of Violence: Definitions, Theories, and Perspectives”; “Player Violence: The Drift to Criminalization”; and “Risk, Pain, and Injury in Sport: A Cause or Effect of Violence?”. Young has produced some very interesting scholarship over the years, so his new insights into sport violence should make for a fascinating and enlightening read. One quibble: unless Young offers specific insight into the incident pictured on the cover – that is, Zenidine Zidane’s headbutt to Marco Materazzi during the 2006 World Cup Final – I don’t find it a particularly helpful cover image, as I think there are far more compelling and less sensational examples that better highlight the many sociological problems concerning sports violence. I suspect that the choice of cover was a decision made by the publisher rather than the author, and that Routledge may have picked an image designed to appeal to a larger market rather than to reflect the content of the book. But, lest I be accused of judging a cover by its book, I will have to wait until I read Sport, Violence and Society to pass judgement. Overall, this looks like it should be a very insightful publication that seems particularly topical to hockey fans and scholars, given the current climate surrounding issues such as fighting, headshots, frontier justice, and concussions.